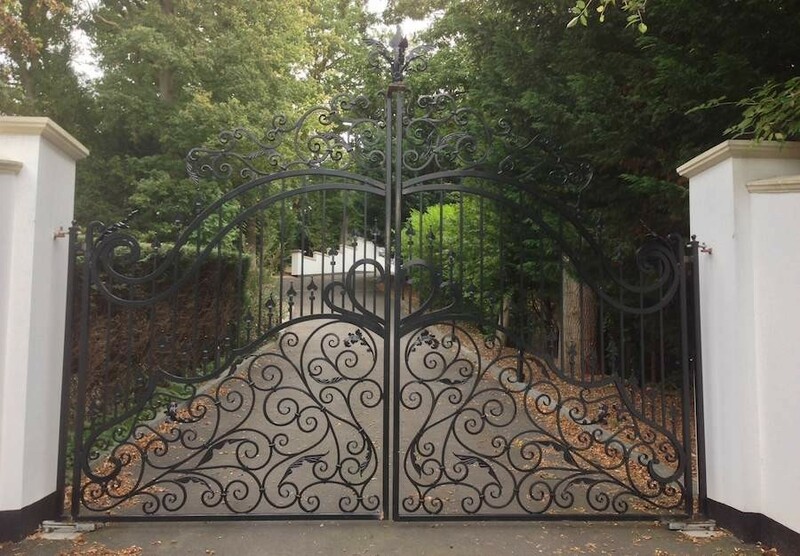 Steel Makers design, manufacture and install wrought iron gates, both manual and automated to meet any customer requirements at an affordable price. As well as design, we can also supply and install automation kits for existing gates that have been manufactured elsewhere. There are several different ways we can automate your gates. The equipment for automatic security gates ranges from underground unit, post mounted unit and sliding unit. The motors are positioned flush within your driveway, the drive shaft is attached to the bottom of the gate, so when the shaft axle rotates your gate opens/closes. These units are electromechanical, and have the capability for residential and commercial usages, the ram operated units are compact and elegant with a streamlined profile allowing perfect and discreet integration with any type of gate. Sliding gate units are electromechanically operated. The sliding gates are ideal if you have limited space in your driveway and there is also the option of having a pair of sliding gates.